Most of you will never know what admissions officers wrote about you when you applied to college – but you could. Students at Stanford University made national news this winter when they revealed that under a relatively obscure section of the Federal Education Rights and Privacy Act, students have a right to view their admissions files. Unwilling to be beaten by the likes of mere Stanford students, I filed my own FERPA request. I anticipated that, given classic GW bureaucracy, this wouldn’t be easy – and I wasn’t wrong. I submitted my document request on Feb. 2 and could not review my file until April 23 – more than a month after the 45 day deadline for FERPA requests had passed. In that time frame, I had to email more than four departments, tweet at Dean of Student Affairs Peter Konwerski and threaten the University with a FERPA complaint just to have my request fulfilled. Even after all the hype, looking at my files wasn’t earth-shattering – so it’s surprising that the University was slow to provide them to me. When students submit these requests in the future, GW should do its best to fulfill them as soon as possible, since it’s unlikely students will riot when they see their files, anyway. A University spokesperson told me in an email, “After the registrar, dean, chair or head of an academic department that maintains the records receives the written request, we begin efforts to fulfill the request in a timely manner.” She also noted that only a handful of students make these requests each year. I’m not sure why it took so long to get my files. But by taking so much time, no matter what the reason, the University inadvertently made it seem like my admissions files would change my entire world. But they didn’t. I’ll admit, the experience of actually reviewing my records was slightly intimidating: While you have the right to view your records, they cannot leave with you and you cannot take photos. So for half an hour, I reviewed my documents with an admissions worker sitting with me as I tried to fill the silence with awkward jokes about my senior-year self. What was most shocking was that my college essay – perhaps the most dreaded part of the college admissions process – was reduced to several small notes and mentioned nothing of the deep aspects of my personality I had hoped to get across. Two pages in the file were computer printouts that summarized and graded me on my application with a few brief comments. Most of the file used confusing codes and when asked, the University declined to provide me with a guide to decipher them. Instead, I was only provided vague descriptions on how every code refers to part of the “holistic” nature of the admissions process. The actual scoring sheet itself is broken up into several key components. First is an academic performance chart that briefly summarizes all of the honors and AP/IB classes taken, GPA and test scores, with AP scores noted separately. The rest of the sheet is made up of brief text boxes for key words from recommendations, notable activities done in high school, essay comments, GW interest and overall comments. Each of these text fields contains no more than 10 words, briefly mentioning my mother’s career, the words that stuck out in my recommendations from teachers and my role in my high school’s gay-straight alliance. And while I admittedly blushed at the complementary nature of this comment, it was so vague that I still wondered what GW officials actually thought of me. There was no information at all about my application to the honors program, which I felt was much stronger than my application as a whole. In all, viewing my records was fun and I learned some things about myself – like that even in high school, I had enough social justice knowledge that I included the Q in LGBTQ in my essay – that my upperclassman-in-college self has already forgotten. It’s a shame that it took such a long fight to gain access to these records. The information I found wasn’t revolutionary or all that private – but if other students are curious about their files, I would encourage them to make requests, too. Based on my experience, though, the process might take longer than expected. Students shouldn’t have to jump through hoops to get information from GW – and the FERPA request process shouldn’t have to include tweets at Konwerski. 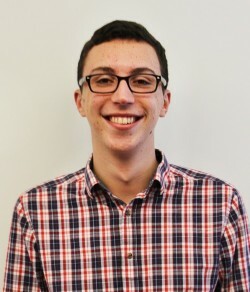 Jonah Lewis, a junior double-majoring in sociology and political science, is a Hatchet columnist. Want to respond to this piece? Submit a letter to the editor.